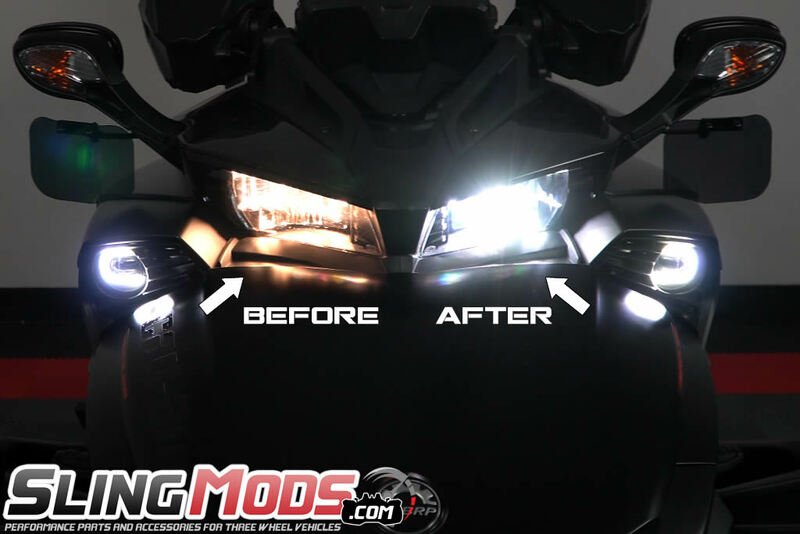 There are several sub-par Spyder F3 LED headlight kits on the market, but none will deliver results like the specifically designed and engineered LED's used in this kit. 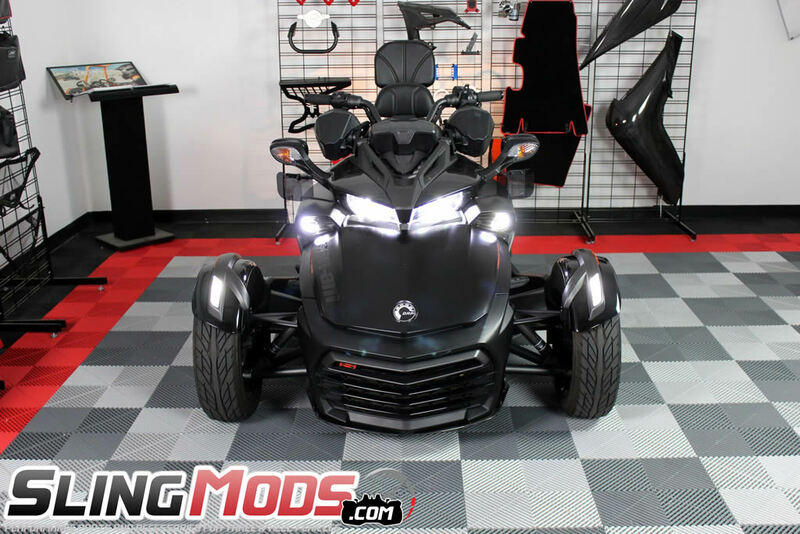 After 4 months of design, TricLED has sourced only the best USA made LED chips and aircraft grade aluminum body design specifically for this Spyder F3 application. 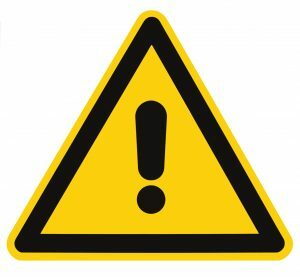 Installation is made easy with a special "twist off" base that allows you to use all factory rubber boot covering, with absolutely no modifications, cutting or splicing of any factory wires. This LED kit allows for maximum usable 6000K light output to ensure great visibility during night riding, which also increases rider safety. Match the fender and new running/fog lights very well! I has bothered me since I bought the F3-S that the yellow headlights just didn't look very good. I commute on this machine, often in the dark, so I needed these to do more than look good. I may have to lower the aim of the headlights, they are so bright! 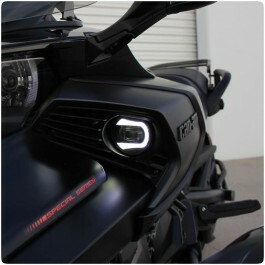 LOVE these LED headlights !!! Very bright, I can see more of the road with these, makes my Spyder look fierce !!! Installing them I had a little bit of difficulty, but not because of the product. I couldnt get certain parts of my Spyder off without a little force. 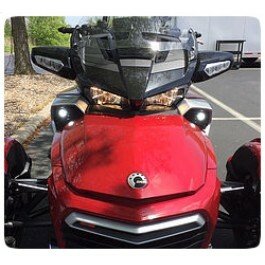 BRP is claiming my poor radio reception is from installing these aftermarket LED's??? Is that even possible?? 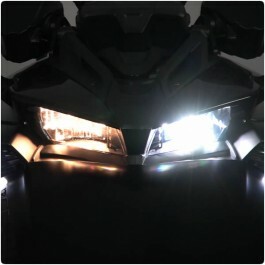 Besides that I love the lights, definitely better visibility! Very good lighting. 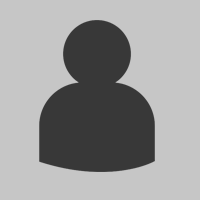 Which allows to be more visible. So safer. Very good service from Will and Luis. Thank you slingmods. I recommend. 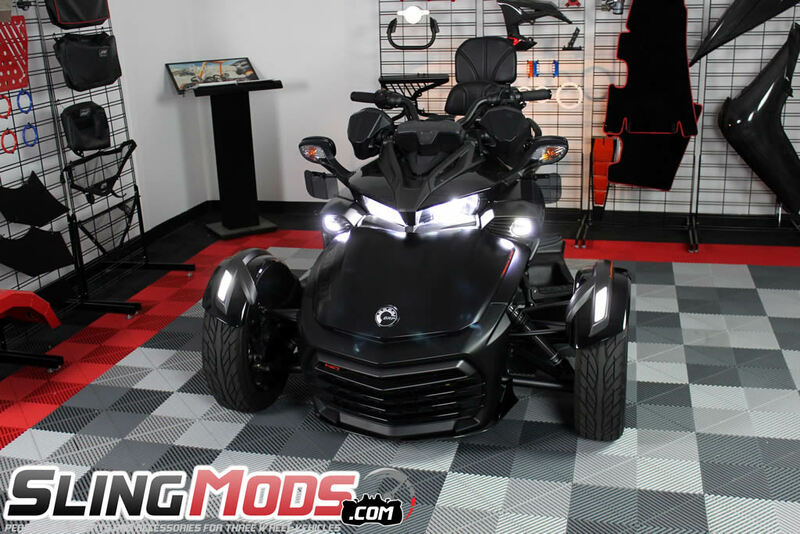 Convert your stock Can-Am Spyder F3 fog lights from yellow halogen bulbs to bright white LED bulbs w.. 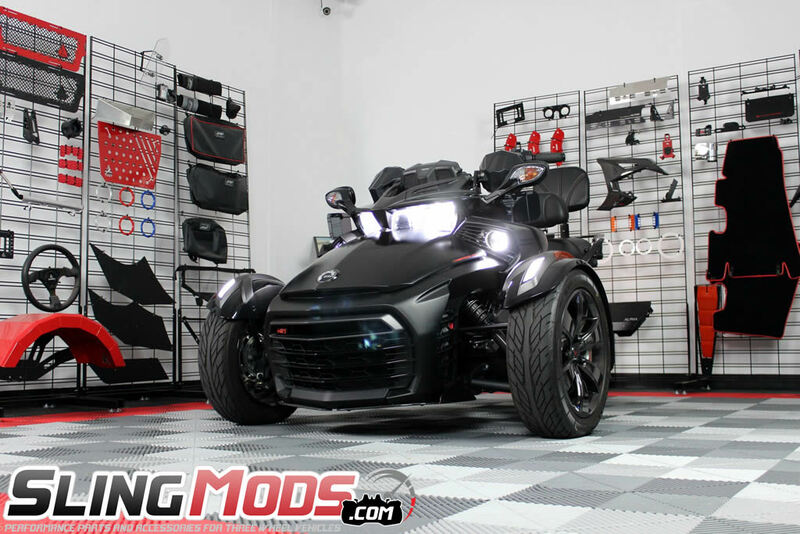 Enhance the front end of your Spyder F3 with this replacement F3 LED Fog Light Kit..